LATEST insights into pasture dieback will be provided in a webinar hosted by FutureBeef and Beef Central on Friday February 15. The webinar will start at 12:30pm AEST. 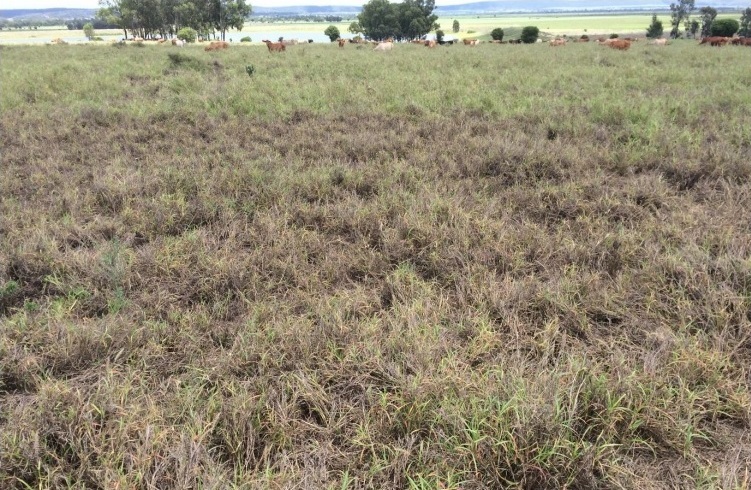 Pasture dieback is a poorly understood condition that causes unthrifty growth and death of otherwise productive pastures. The condition has been identified in different grass species across large parts of North, Central and southern Queensland. It can cause large productivity losses through severe reduction in pasture yield and quality, reduction in palatability and stock acceptance, reduced cattle liveweight gain and decline in land condition resulting in increased erosion risk. The occurrence of dieback in pastures has accelerated in recent years, however it is not a new phenomenon, as dieback has been reported since the early 1990s in Central Queensland buffel grass pastures. Past research has proved inconclusive in identifying the causes of the condition. Without knowing what the cause is, it is difficult to determine effective management strategies that reduce the impact of, or control the condition. The scale of the impact varies across paddocks and properties. In some instances only a few, small patches are affected, while on other properties or in other locations, much larger areas are impacted. To date, there is no clear reason why. Some graziers are implementing a range of techniques to try to restore pasture productivity, such as burning, fertilising, renovating and re-seeding, spraying on a range of different chemical or biological formulations and changing grazing management. Six large-scale field trials were last year established on dieback-affected commercial properties in southern and central Queensland to test the effectiveness of a range of interventions against pasture dieback. What DAF is undertaking to support affected graziers. Click here to register to join the webinar. After registering, participants will receive a confirmation email containing information about joining the webinar on the day.